In 1653 typesetters in Cambridge made a big mistake as they were typesetting an English version of the Bible. In their Bible the seventh commandment read: “Thou shalt commit adultery” (Exodus 20:14). When the publisher realized the mistake, he immediately recalled what was then and now referred to as “The Wicked Bible.” Any Bible commanding adultery should certainly be considered “wicked.” Eleven copies remained in circulation. If you owned one, it would be worth a king’s ransom. The angry publisher fined the typesetters 300 pounds each. In those days that was roughly 20 years salary. I tell that story because something similar happened to us. I was the senior theological review director for a new Bible translation called THE VOICE (Thomas Nelson Publishers). A few years ago we published a book called The Voice from on High (Thomas Nelson 2007). It is a compilation of Scripture (Old and New Testaments) that corresponds roughly to the libretto of Handel’s “Messiah.” Despite all our best efforts (14 levels of review and proofing) a mistake crept into the final product. In 1 Corinthians 15:54 our version reads: “And, when we are all redressed with bodies that do not, cannot decay, when we put immorality over our mortal frames, then it will be as Scripture says: “Life everlasting has victoriously swallowed death.” Christians don’t expect to be clothed with immorality. Immorality is to be avoided. We expect that at Christ’s return that we will put on immortality not immorality. It is amazing what a difference 1 letter makes. Are the Miracles in the Bible Simply Myths and Legends? March 26, 2014 6:00 am / 4 Comments on Are the Miracles in the Bible Simply Myths and Legends? 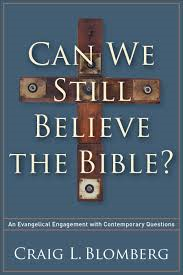 I want to summarize and respond to chapter six in Craig Blomberg’s book, Can We Still Believe the Bible? An Evangelical Engagement with Contemporary Questions (Baker Academic, 2014). The chapter has to do with the miracles in the Bible. For many people miracles are a stumbling block to trusting in the reliability of the Bible. Because they have never seen one or experienced one for themselves, some people conclude miracles can’t occur. Others think science itself and philosophy have proven miracles are impossible. Still others think they can explain the miracles in the Bible as myths and legends. It is this last group—those who think the biblical miracles are simply myths and legends—that most interests Professor Blomberg. “Philosophers of science are also increasingly stressing that the miraculous by definition lies outside the bounds of science because it cannot be tested or experimentally reproduced in a laboratory” (p. 179). I’m sympathetic with Craig’s straightforward statement that miracles cannot be defined out of existence as a violation of nature law. While Craig seems amenable to the notion that a miracle involves the temporary suspension of natural law, I’m more comfortable with the claim that a miracle involves the invocation of a higher law. Craig mentions this as a possibility early in his chapter. To offer a simple and probably flawed example, everyone knows that gravity is what keeps our feet firmly planted on mother earth. But Bernoulli’s principle and the laws of aerodynamics make it possible for us to leave the ground and wing our way to new places without suspending or violating gravity. Gravity is still at work on us and on the plane (otherwise flight would be impossible). Temporarily and with a great deal of energy expended, these other laws of the physical universe make air travel possible. I suspect that the miracles we see in the Bible belong more to this category than any other. God, as the maker of nature and its laws, invokes a higher law for a higher purpose for a brief time. 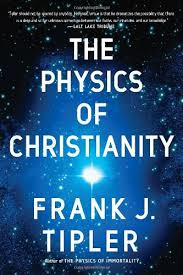 Frank Tipler, a physicist who teaches at Tulane, appears to make this argument in The Physics of Christianity (Doubleday, 2007). Even the occurrence of just one extraordinary event that naturalism cannot explain demonstrates that naturalism is not a comprehensive worldview that can account for all that happens in the universe. . . . But atheism has to be able to account for every scientifically inexplicable event apart from God for it to be necessarily true. Thus it takes at least as much if not more faith, not founded in empirical evidence, to be an atheist than it does to be a Christian. Blomberg spends the bulk of the chapter rehearsing many of the miracles of the Old and New Testaments, showing how unique they are from the kinds of legends and myths found in ancient literature dealing with gods or God. After cataloging most of the Old Testament miracles, Blomberg categorizes them into four groups: (1) events that show Yahweh’s superiority to other so-called gods; (2) interventions at critical moments to protect God’s people and demonstrate God’s covenant faithfulness; (3) judgment against rebellion in Israel serious enough to jeopardize God’s people; and (4) events that authenticate something new in God’s dealing with his covenant people. In each case, Blomberg distances these OT accounts from the kinds of claims made about other gods in the ancient near east. He does much the same with the miracle stories in the Gospels and Acts of the Apostles. After briefly relating many of these stories, he shows how these are different from the kinds of miracle stories found in Greco-Roman religion and culture. According to Craig, the claim that this or that legendary account is parallel to what is found in the New Testament is not convincing. The only convincing parallels come from post-New Testament sources where it is more likely that stories about Jesus have been borrowed in order to build up the reputation of another. The closest parallels to New Testament miracles are found in the Old Testament. Blomberg points to the resurrection as the miracle which could not be mythical or legendary. It is the very nature of myths and legends that they take time to develop, often generations. Yet within a very short period (no more than a year if not less) reports of an empty tomb and resurrection appearances were central to the gospel. Paul, our earliest writing theologian, says it is of primary importance that Christ died for our sins and was raised on the third day and that he appeared to hundreds of witnesses (1 Cor 15:3ff.). This is the gospel he preached, but it was also the gospel he opposed no more than a year or two after Jesus’ execution. The speed with which the resurrection stories circulated demonstrates they were not legends as traditionally understood. If the chief miracle of the New Testament was not a myth, then we may well question whether accounts of Jesus healing the sick and feeding the multitudes ought to be classified as legends. In the end Craig hopes that believers will avoid two extremes. One the one hand, he is concerned about those who claim miracles ceased at the end of the apostolic age. Miracles continue today, he says, all over the world. They are not occasional and random. They are happening regularly especially in the Majority world. On the other, Craig warns that abuses and “quackery” (209) often follow powerful and influential religious movements. Charismatics need to be careful not to try to imitate the Spirit by their own strength and in their own flawed wisdom. Cessationists should be mindful not to try to limit how God is working in the world today. Both need to examine themselves carefully in light of Scripture. This chapter, as well as the other chapters in Blomberg’s book, is well worth reading if you have questions about the Bible’s reliability and concerns about the miracles. While I find myself in friendly agreement with much of what Craig writes, there are a few places where I must stand in friendly disagreement. I’m not sure Blomberg’s arguments will convince many close-minded skeptics who have concluded a priori that miracles cannot happen. What I do think he accomplishes is a fresh challenge to those open-minded enough to reconsider the quality and quantity of biblical and modern miracles. I’ve taken the title of my blog post from a new book by Craig Blomberg. The full title is Can We Still Believe the Bible? An Evangelical Engagement with Contemporary Questions (Baker Academic, 2014). 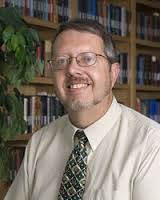 Craig is a distinguished professor of New Testament at Denver Seminary and a prolific writer. I’ve used a number of his books over the years in my classes at HBU. Craig is well worth reading and this book is no exception. Over the next couple of weeks I plan to engage different aspects of this book. For now, let me give you a sense of what the book is about. While Craig admits there are a lot of important issues out there—the challenges of pluralism and the new, militant atheism, for example—he gears this book in a more personal direction: “why I still believe the Bible as I write these words in 2013.” To some degree the book is a reaction to his undergraduate education in a private, Christian liberal arts college. Essentially, the professors offered challenge after challenge to historic Christian faith and never helped the students deal with those challenges. To borrow a line from Jeremiah: these professors felt it their duty “to pluck up and pull down, to destroy and overthrow” but not to “to built and to plant” (Jeremiah 1:10). In many ways Craig’s academic career and his writings have taken seriously these challenges while at the same time seeking reasonable, coherent answers. 1. Aren’t the copies of the Bible hopelessly corrupt? 2. Wasn’t the selection of books for the canon just political? 3. Can we trust any of our translations of the Bible? 4. Don’t these issues (the three issues above) rule out Biblical inerrancy? 5. Aren’t several narrative genres of the Bible unhistorical? 6. Don’t all the miracles make the Bible mythical? While I wish I had time to engage each of these questions over the next couple of weeks, I plan now on looking carefully at two: (a) the question of biblical translations (since I was the lead scholar on a new translation called The Voice [Thomas Nelson, 2012]); and (b) the question of miracles. As I read through the book, I find myself in friendly agreement with many of Craig’s arguments and ideas. Still, there are points where I’d probably characterize my own position and thoughts on the topics as in friendly disagreement. Still Craig’s approaches to a number of these questions have surprised me. These aren’t the same old arguments drawn from a well-worn evangelical playbook. For that reason alone I think I can recommend this book without any hesitation. Although it is written against the backdrop of Craig’s personal story, I imagine many people will find this book a good read and faith-affirming. If the talking heads on History Channel have ever stirred your curiosities about the Bible and the origins of Christianity, this book will help satisfy many of the key curiosities. If you wonder whether you can still take the Bible seriously, this book is definitely for you. Bill Maher, What’s in Your Pool? 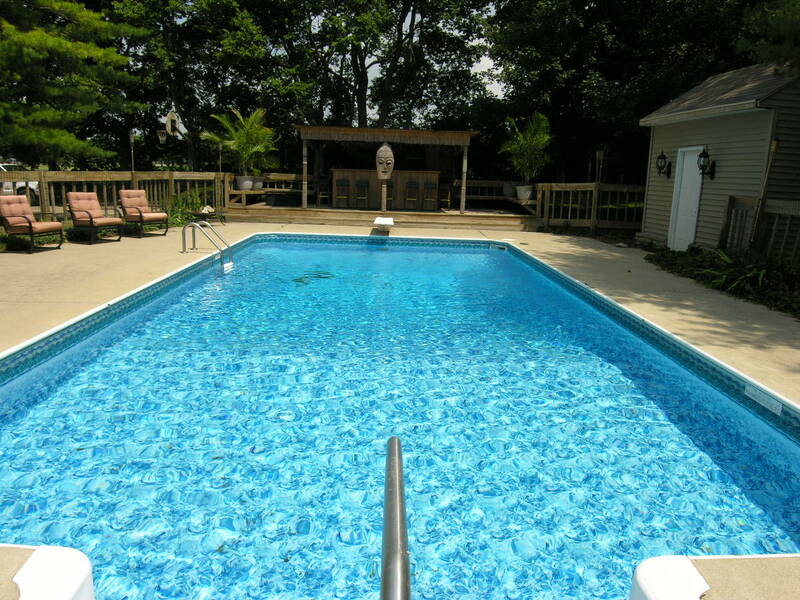 July 29, 2013 7:43 pm / 7 Comments on Bill Maher, What’s in Your Pool? I don’t watch Bill Maher. I don’t find him particularly funny (if I’m in the minority, I don’t mind. I don’t like potty humor either). I think he is boorish and lacking in insight. To paraphrase Ecclesiastes: there’s nothing new except the TV audience. Unfortunately, today’s crop of militant anti-theists, like Maher, cannot hold a candle to thoughtful atheists of the past like Bertrand Russell or Friedrich Nietzsche. Now, let me be clear, I have great respect for humble, reflective atheists and agnostics. I have a number of friends and colleagues with whom I disagree on matters of faith but the disagreements are agreeable. Jim Wallis, founder and president of Sojourner’s, appeared on Bill Maher’s program recently and, as could be predicted, Maher took him to task. To be frank, I don’t agree with Wallis on all matters of theology or politics but I do regard him as a warm, sincere Christian. Like many he is following Jesus the best way he knows how. I don’t have time or inclination to deal with the entire exchange between Maher and Wallis but let me deal with two statements made on both sides. Two responses which are . . . easy. First, Mr. Maher, you’re a classic cherry-picker. You rant against all the stuff you don’t like. You ignore the vast majority of the Bible which speaks of forgiveness, love, charity, and hope. You accuse Jim of cherry-picking the good parts. You’re doing the same thing. Have the decency to recognize it. Later in the conversation, Maher said, “Fundamentalism is just people reading what’s there and taking it literally.” True enough, which makes Maher the biggest fundamentalist of all. He reads the Bible without knowledge, nuance or sophistication. He reads it as flatly as any flat-earthed fundamentalist I’ve met. More than that, he thinks that’s the way everyone else reads it too. He boasts that he has read the Bible, but he has done so for the point of condemning others. And here is a principle for a thoughtful person of any creed: Whenever you learn about something for no other reason but to criticize it, then you can’t help but misunderstand it. This is why Maher cannot understand religion in general or Christianity in particular. Maher condemns the Bible for being homophobic while he is biblio-phobic or Christophobic. Apparently Maher thinks a person can help being religious but can’t help being homosexual. Again, Maher misunderstands the religious aspect of human existence and how deeply people “feel” their religion. They can no more simply hang up their religion than a gay person hang up his/her orientation. There is a Buddhist meditation that invites devotees to take a journey inward—not just into their mind but into their bodies. Think about what is in your body. There are organs, muscle, fat, blood, bile, feces, gas, and urine. This is what we are made of. This is what is in us right this moment. Mr. Maher, you may not want to be in waste, but waste is in you. The point of the meditation is to come to grips with the messiness of human life. To be human is to be, by definition, messy. Our lives are messy. Our relationships are messy. Our sexuality is messy. Our politics are messy. And yes, our religions are messy. We may wish to swim in a totally clean, chlorinated environment but the minute we jump in we have fouled the waters. What human institution or organization is without some measure of messiness? Whatever the Christian Scriptures are, they are God’s attempt to meet us in the messiness of our human existence. They portray us as we really are: broken, deeply flawed, angry, contentious, lustful, arrogant, insecure. The Scriptures come to a particular people of a particular culture in a particular language. This is part of the messiness, for language and culture are incapable of expressing the heights, depths, and breadths of the Divine or human existence. Ultimately, we see in the cross the depths to which God will go to meet us in our brokeness. Fortunately, God does not leave us where he finds us. He calls us to something greater. This is why every great university (until the 1900s) was started in the shadow of a cathedral; why hospitals have names with words like Saint, Methodist, Baptist, Catholic, Episcopal, etc. ; why when disasters hit, the first to respond are people of faith; why believers give and create charities at a pace which far outstrips those who don’t. When comedians and celebrities attempt discussions on serious topics, they often show themselves to be ignorant and bigoted, the same qualities they decry in others. They prefer sound bites and banal zingers to true understanding. They are able to get away with their prejudices because such low-level discourse is currently fashionable. Fortunately fashions change. 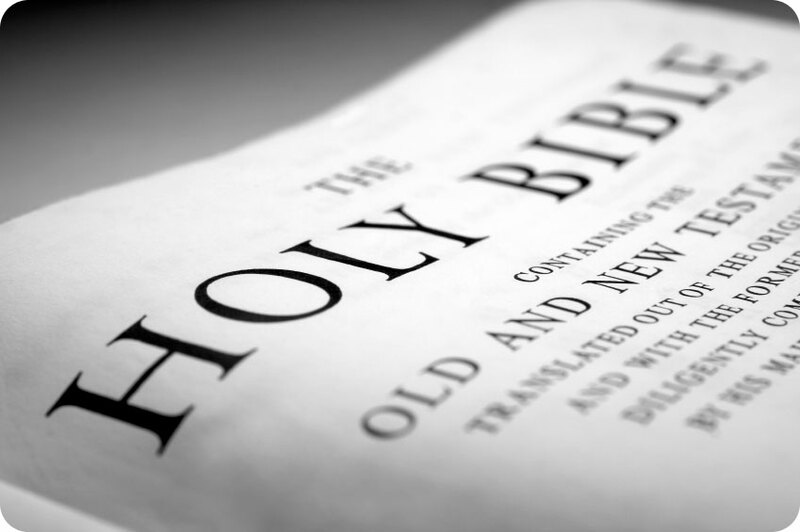 Is It Time to Retire “The Old Testament”? So why do we call the first part of the Bible the “Old Testament”? Well, for several reasons. First, there is tradition. For hundreds of years Bibles have been published with a page in front of the collection of 39 books from Genesis to Malachi clearly declaring these are the books of the Old Testament. Second, there is Jesus’ declaration that he comes to establish a New Covenant in His blood. We hear these words spoken first at the Last Supper when Jesus breaks the bread, blesses God and invites His followers to “take and eat.” That phrase “New Covenant” becomes identified later with part two of the Christian Bible; we call it the New Testament (the Greek word for “testament” means “covenant”). If these 27 books from Matthew to Revelation make up the New Testament, then the first part must be, well, the Old Testament. Seldom, if ever, does anyone stop and ask “Why?” Or perhaps even more significantly: “What do we mean when we call these books the Old Testament?” Tradition is a powerful factor in how we think. Now I have no real problem with calling these books the Old Testament as long as we do not fill the word “old” with the wrong content. Frankly, I think sometimes we do. When Christians refer to these books as the Old Testament—if by “old” they mean worn out, used up, obsolete, yesterday’s news—then I think we ought to retire the term altogether. Certainly that’s not how Jesus and his followers looked at their Bible. For them it was God’s Word. In “the Law, Prophets and Writings”—the way they referred to the Scripture—the Voice of God could be heard and felt. They heard prophecies there, stories there, poetry there that found ultimate fulfillment in the New Covenant inaugurated by the Liberating King. For Jesus and his contemporaries the “Old Testament” was not “old” at all. It was as fresh as the morning, as relevant as the Internet news. They were still waiting for some of its prophecies to be fulfilled. There is no sense in which they considered their Scripture old or obsolete. If that is what we mean by “old,” we ought to throw a retirement party and be done with it. God’s redemption of the world . . .
then why don’t we just call it what it is: the Classic Testament. In many ways I prefer “Classic Testament” to “Old Testament” because it can help us reframe the discussion about Scripture. I suggest that this subtle change might pay big dividends when it comes to thinking about the relationship between part one and part two of the Christian Scriptures. Although this is an oversimplification, the Old Testament stands in relation to the New as promise is to fulfillment, as foundation is to temple, as classic is to contemporary. You cannot have one without the other. The earlier paves the way and makes the later possible. That’s why the Christian Scriptures contain both Old and New Testaments or what I prefer to call the Classic and New Testaments. Now I realize I’m not likely to change many minds on this. I don’t expect Bible publishers to change the introduction page to part one of the Bible. I just want to get you thinking. When you say Old Testament, what do you really mean?